POLICE IN NORTHERN Ireland are investigating the report of an aggravated burglary at a house in Antrim in the early hours of this morning. The incident is reported to have taken place in a house at St John’s Place, Larne. 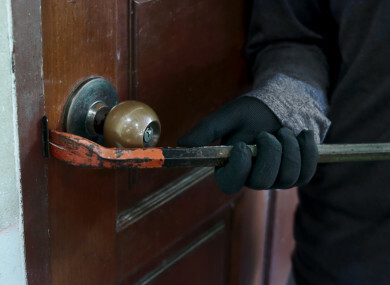 Police received a report that a number of masked men forced entry into the house at around 2.30am and attacked a male occupant with bats and pick axe handles. Detective Inspector McStravick said: “This was a ferocious and inhuman attack in front of a woman and two young children who are left traumatised. The victim has sustained a number of injuries including a suspected broken leg and is currently receiving treatment in hospital. We believe at this time that the men left the area in a vehicle following the attack. McStravick said the investigation is at an early stage and appealed to “anyone who witnessed the incident or any suspicious activity in the area, or who has any information which could assist us with our enquiries, to contact detectives in Ballymena on 101″. Alternatively, information can be anonymously provided to the independent charity Crimestoppers on 0800 555 111. Email “Man injured in 'ferocious and inhuman' attack in front of woman and children”. Feedback on “Man injured in 'ferocious and inhuman' attack in front of woman and children”.